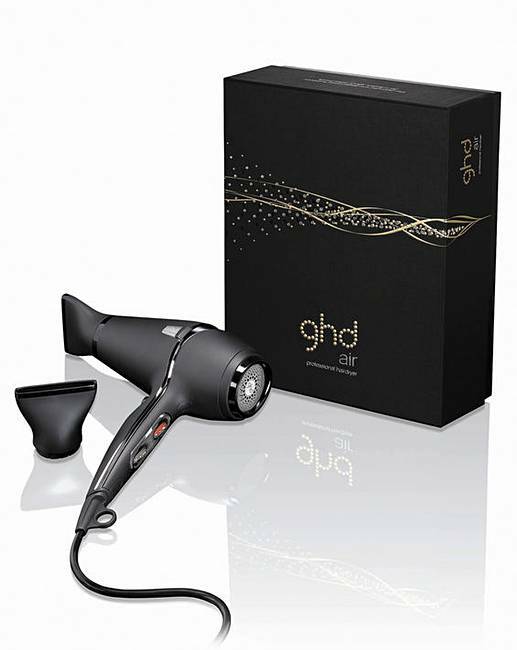 ghd Air Hair Dryer is rated 4.0 out of 5 by 7. The GHD Air doesn’t just dry your hair. Rated 5 out of 5 by jennypenny from Amazing!!! Luv luv this GHD DRYER.....drys my hair in half the time!!! Rated 4 out of 5 by Soph7 from Salon blow dry been using this dryer for a yr now,gives a lovely smooth blow dry only downside is its heavy and noisy. Rated 1 out of 5 by Hb28 from Poor The plug is continental and the enclosed adaptor doesn't fit - really disappointed. Rated 5 out of 5 by Ninaa from Amazing!! AMAZING! Dryed my hair in under 2 minuets. 100% Recommend & does come with UK plug. Well worth the money. Rated 3 out of 5 by Emmalou from Looks good It doesn't come with a UK plug!! Lots of money and then have to pay out for a plug!